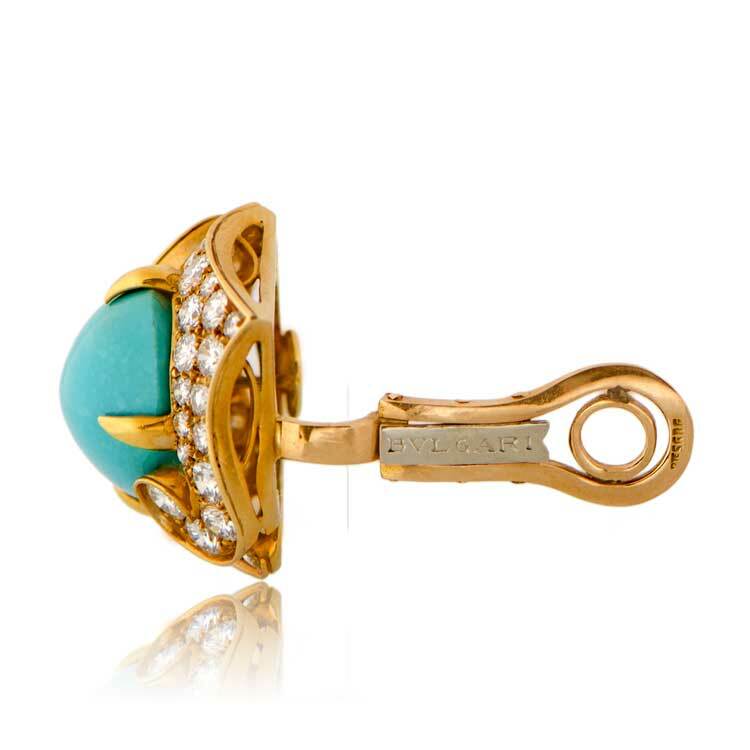 A pair of vintage Bulgari earclips that center two natural turquoise stones that each measure 17.9mm x 13.3mm. 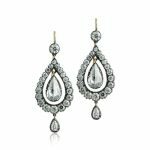 These earrings feature a scroll motif and is dazzled with round brilliant cut diamonds. 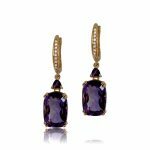 The total approximate diamond weight is 4.35 carats. 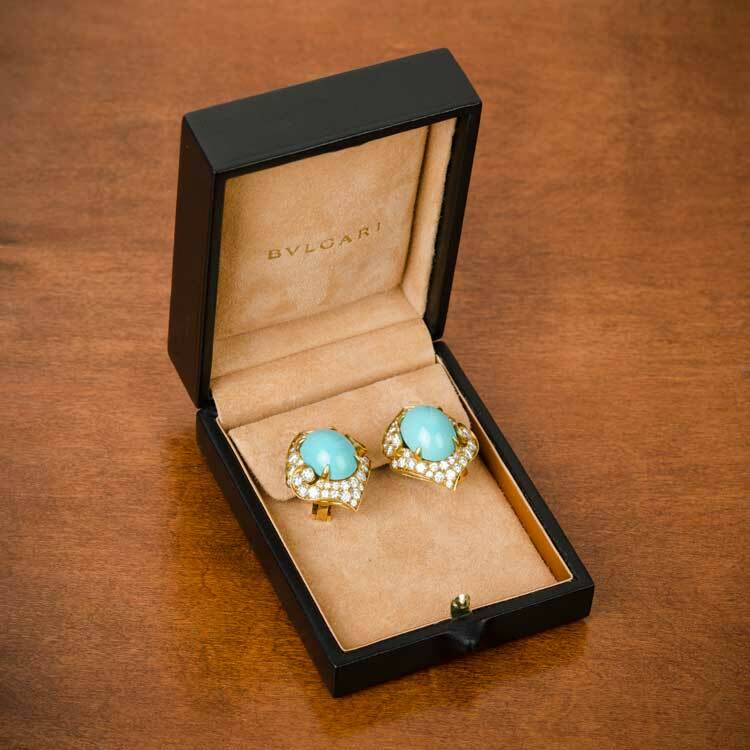 These earrings will come with an original Bulgari box. 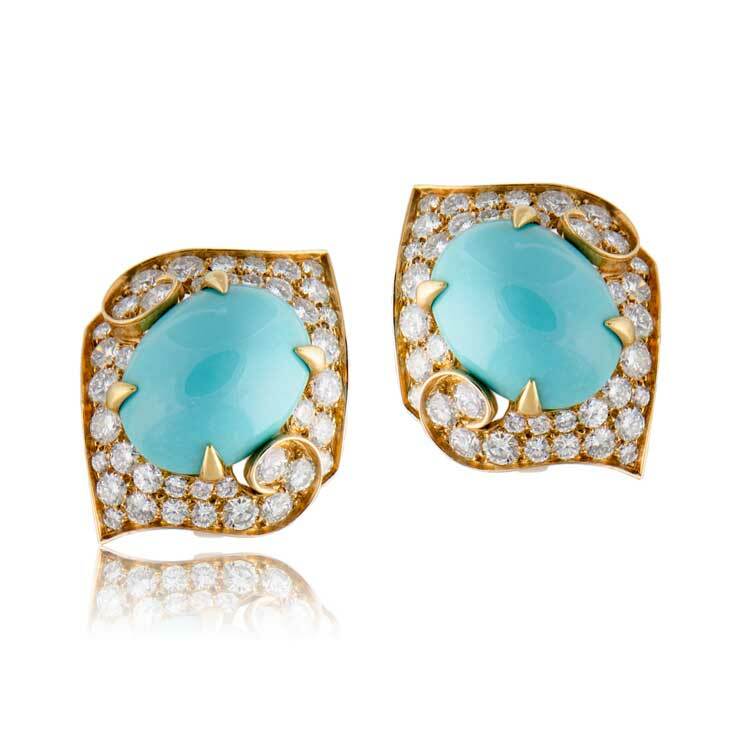 SKU: 11155 Categories: Signed Engagement Rings, Vintage Earrings - Contact us and request additional pictures.